The new VanArts app provides the necessary tools to make informative decisions about your education. To help you launch an exciting career in the field of animation, Vancouver Institute of Media Arts has launched something new as well: a brand new app now available for download on your iPhone or iPad. 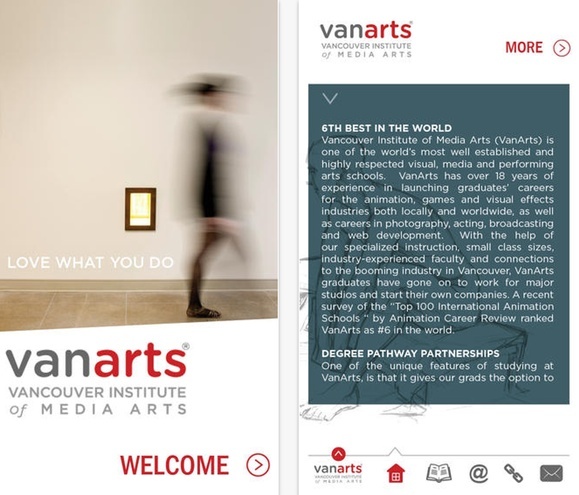 Just released in the iTunes store, the VanArts app will make it even easier to connect with one of the world’s top institutions in media arts education. 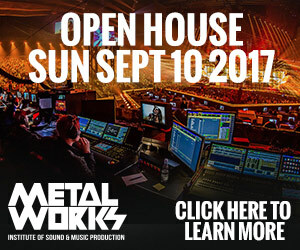 If you’re interested in a career in the visual, media or performing arts, you’ll want to check out this free app. You’ll be able to peruse the programs offered at VanArts and even apply online through your mobile device. The VanArts app reflects the school’s forward thinking, keeping up with what’s current and convenient for prospective students. It comes as no surprise for this cutting-edge institution located in downtown Vancouver, a city often referred to as ‘Hollywood North’ for its booming television and film industries and its numerous animation studios. Since most of us prefer to interact online using a handheld device, this app provides the necessary tools to make informative decisions about your education, putting the power to advance your career right in the palm of your hand.